100% Results >> "Meet The Team"Talk to our clients >> "Testimonials"
If you suspect some thing wrong with your child,don’t waist time. Get the diagnosis and initiate the treatment without any delay. Consult a Board Certified Behavior analyst/consultant (with minimum 4 years experience as a behavior analyst/consultant after board certification) and design a child specific therapy program which should be implemented by an ABA therapist . Therapy targets, strategies should be updated/modified on an ongoing basis by an experience Behavior Analyst.Remember therapy sessions should be directly monitored (once in a week) by a Behavior Analyst.DON"T just waist your child's precious early years with any therapist who is claiming to know ABA . The therapist/behavior technician should have minimum 20-30 hours of ABA training under a board certified behavior analyst(BCBA/BCaBA) with minimum 3 years of ABA experience.A board certified behavior analyst is a professional who has finished university education and board certification in behavior analysis. 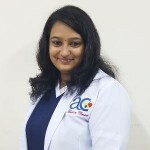 Choose a speech therapist who has bachelors/masters degree in speech and language pathology with minimum 3 years of experience working with children speech and communication disorders.We have a highly experienced team of Indian speech therapist who caters our clients in Dubai and other emirates. Choose an OT who has bachelors/masters degree in Occupational therapy with minimum 3 years of experience in the field. The implementation of the overall program should be under an expert who has real good knowledge and experience in related field. A team manager/consultant should closely observe the target achievements and suggest solutions for any therapeutic challenges arises. Why to choose us ? Direct everyday supervision by one of the first Board Certified Behavior Analyst in UAE with more than a decade of experience in ABA | High Qualified and Experienced Staff | Collaborative Approach | Progress & Accountability | 100's of successful cases in Dubai & Sharjah. Most effective individual treatment plan designed by a team of therapist and program manager. 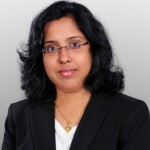 Highly experienced staff working collaboratively under expert program managers ensures best results within a short time. I can definitely vote for Asha as the best Autism and Behavior consultant in the region. Lot of our patients with pragmatic disorders, language disorders, and severe autism had benefited from her treatment. She is doing a great job. I like this centre because of the following reasons. •	The primary objective of this centre is to provide good quality service and happy customers. Not just, business. •	I had treatment for my daughter in the centre for 6 months, she was discharged from the centre, and Ms. Asha helped me to get admission in one the leading school in Dubai. So many other kids from this centre mainstreamed along with my child in the last academic year itself. •	Both the Speech and ABA departments are good. Other departments I am not familiar with. My son has just completed a few sessions at Austin Center. He has shown commendable improvement in such a short span of time. He is able to understand and control certain unacceptable behaviours, to a great extent. He is verbal now. He has started using new words and forms new meaningful phrases and sentences. He is much more aware about his surroundings and the conversations around him; sometimes he also picks up a word from our chats to form a phrase of his own. He speaks about things that he sees while travelling. He is able to understand the concept of same and different. He has also improved his eye contact. I strongly believe that this centre will help him a lot to overcome his difficulties and to develop his self-confidence. Our child was speaking only a few words before, and all his answers were one words. When he started his nursery six months back we got a clear picture about him as he was not talking with any other children and to the teacher .If he speaks it will just one words . Since some our friends were talking highly about Austin Center, we tried this center. Now , within one month of speech therapy he started to answer and ask in sentence than words at home. All the therapists are very experienced, friendly and cooperative. Unlike other centers we tried ,at austin parents are allowed to sit with the therapist and to be the part of the sessions. Regular follow up home therapy tips where given.This was very helpful.We are happy to refer the center to others. Initially, she has lack in speaking properly like other children. Understanding skills lacked also. Dr.Gopal from zulekha medical center refer Austin to us. We came for basically speech therapy to Austin.Within few sessions we noticed improvements.I am sure that their therapists are really good and Mrs. Asha continuously supervising the therapist and following up with therapist and the parents regarding each stages of progress achieved. With the help of different kinds of puzzles and regular training from the therapist, now she is able to speak properly like other children in her class. I don’t know about other centers, but I felt Austin in good. My son had issues with speech. He was able to speak few words without clarity. We came to know about Austin center and Ms Asha from some doctors and some online special need discuission groups. It’s just a month and half , we see a great improvement in him. He is now able to say his name and ask for things that he wants. His interaction with people on a daily basis has increased and improved. Ms.Soumya his therapist needs a mention here. She is exactly what my son needed. She is soft but firm. In between the sessions a feedback is by Ms.Ritu about the goals and benchmarks to be achieved.She looks promising and above all is Ms.Asha who needs the special mention. She is friendly and approachable, an ardent listener, who listens to your problems carefully and helps to overcome them.Ms.Asha has maintained a friendly and compassion able atmosphere at Austin Center where kids are treated with utmost care and love. All the best to Austin Center.Keep up the good work. To add on Ms Rincy(Receptionist)is a sober and smiling lady who greets you with a warmth and make you feel good at the very moment you enter Austin.